Awards, publications, presentations, certifications, and construction news at the architecture firm COULSON. Wow! We’re thrilled by the enormous outpouring of excitement and interest we’ve received about our design! Thanks to everyone who has reached out. It gives us the support to bring this pioneering vision into production and proves our project mission: to capture the public imagination with a product that engages diverse audiences – bringing together people interested in art, science, nature, fashion, simplicity, and modern design – inspiring and educating with a new, cost attainable language for ultra-sustainable living – using simple, low-tech, transferrable methods that will spark conversation and replication to create the cultural shift we need to address climate change in all buildings. We’re honored that our groundbreaking work inspired passionate prose from such a wide range of publications around the world! DesignBoom, Uncrate, HypeBeast, Outdoor Aesthetics, New Atlas, Curbed, HiConsumption, The Spaces, Plain Magazine, Harold Magazine, Inhabitat, Apartment Therapy, E-Architect, Lonely Planet, The Heavy Current, Yanko Design, Milano Design Week, City of Future, Better Homes and Gardens, Dwell, Star Tribune, Architect Magazine, and many more. Carly Coulson’s essay was published in ARCHITECT Magazine in a compelling issue dedicated to the world’s most progressive architecture, where COULSON presents a new approach – in communication and design – to sustainability and climate change. A progressive new treatise is critical to shift the architectural industry and engage new audiences. The techniques proposed, however, are simple… almost invisible. Architects are in a unique position. The world is waiting for us to take a leadership role on climate change and, in doing so, our profession will find renewed relevancy – and, with new purpose and tools, an explosion in creativity! It was an honor to be featured in the StarTribune Innovation series. Sharing our approach to ultra-energy efficient architecture where the sustainability is invisible. "Coulson's work is unique both technically and aesthetically. Too often elements that make a project more sustainable are an afterthought and visual distraction in the design...Coulson is breaking new ground." COULSON is inventing new languages for sustainability – in communication and design. We recognize that new audiences need to be inspired to meet the challenge of climate change and new treatise are needed to shift the architectural industry. We truly believe architects can lead the way. Advanced energy modeling can propel our profession to entirely new, unknown forms of architecture, evolving from very specific climate data and site context, and creatively pushing the boundaries of sustainable design. It is a thrilling opportunity for the profession to find renewed relevancy, and with new purpose and tools, an explosion in creativity. Since 2008 all our work meets the 2030 Challenge and the Passive House Institute standard. At every step of our design process we incorporate energy modeling and allow ourselves time to ask questions and experiment. Often we are very surprised at the interesting results, upending standard assumptions and driving new visual languages for green building. We want sustainability to be invisible, to merge with mainstream architecture as a standard element of design excellence with the primary focus on the emotional atmosphere and experience that architecture creates. We are honored by Lloyd Alter’s insights on our work and “praise of invisible sustainability”. Pays d’en Haut is a story of physical, spiritual, and environmental renewal. 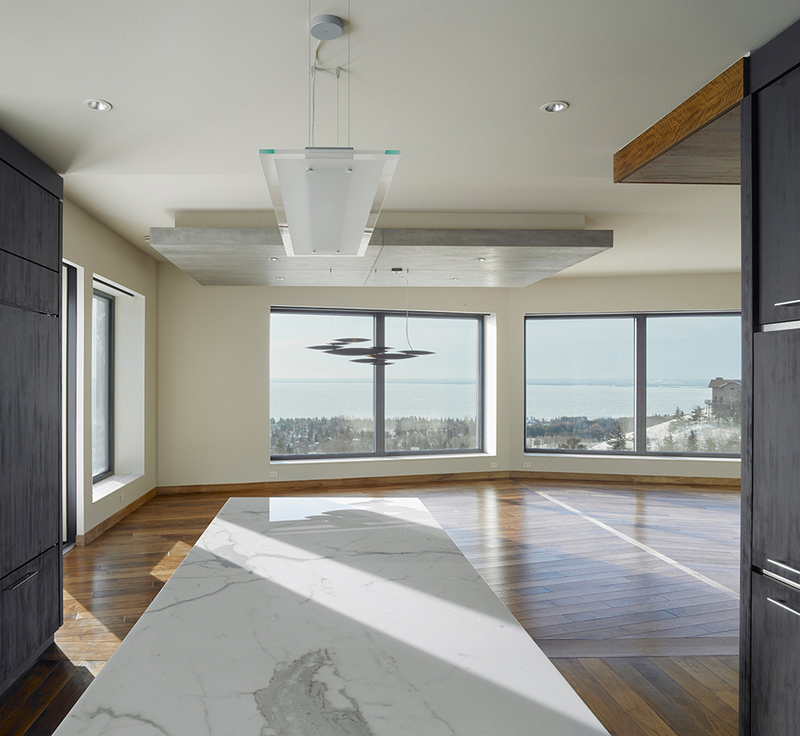 A project born from Lake Superior’s destructive might and a new owner’s desire to live in open harmony with those sublime forces. Boundaries removed, vistas cleanly framed, surrounding development screened, doors opened to new exterior rooms, and a smooth cascading flow between spaces, floors, and terraces, encouraging the eye and spirit to move freely. In this extreme cold climate, the renewed design uses invisible, passive methods to achieve an 82% reduction in energy demand without renewable energy, meeting the Passive House Institute standard and 2030. An essay by Carly Coulson published by AIA ARCHITECT. Imagine it is -40°F outside. From a place of perfect thermal comfort, a magical blizzard dances around you – like being in a snow globe. You feel a seamless connection to your natural surroundings…yet no active heating is being used. In fact, this near-zero energy building has no high-tech gadgetry or renewable energy systems. The focus is purely on the poetic sense-of-place that the architecture and landscape create…it is INVISIBLE SUSTAINABILITY. From the extreme cold climate of northern Minnesota, our architecture and research firm COULSON has been refining this approach since 2008, meeting the highest levels of sustainability using simple, invisible methods, without impacting the aesthetic creativity and elegant simplicity we strive for. Our journey began with the groundbreaking design of the University of Minnesota Bagley Classroom, a LEED Platinum and AIA COTE Top Ten Green Building, and we have gradually advanced to achieve greater design freedom, transparency, cost control, and minimalist details in our recent projects. We’ve found that question is more affordable and fluid when we’re doing energy modeling in-house, and it provides us a joy in creative discovery – from it we’re writing a new language for green building. Please check out this powerful issue of ARCHITECT Magazine. It is devastating in its blunt facts and inspiring in its audacity – with a bold call to action for sweeping change in architecture. It’s a gorgeous work led by Editor-in-Chief Ned Cramer, both compelling and scientific, with a rich visual and written narrative that makes a passionate plea to our profession. COULSON is very honored to be featured in this issue, sharing our experience in meeting rigorous energy targets and using the tools of sustainability to write an exciting new language for architecture. “Climate change is the fundamental design problem of our time. Not style, not fees, not education, not community, not health, not justice. All other concerns, many of them profoundly important, are nonetheless ancillary. The threat climate change poses is existential, and buildings are hugely complicit – even more so than that stock culprit, the automobile. As every architect should know, buildings consume some 40 percent of the energy in the U.S. annually, and they emit nearly half of the carbon dioxide (CO2), through greenfield development, cement production, and the burning of fossil fuels such as oil, gas, and coal. Because CO2 traps solar energy in the atmosphere, thereby heating the planet, it is the chief agent of climate change, making buildings – and by association, the architecture profession – profoundly responsible” writes Cramer. 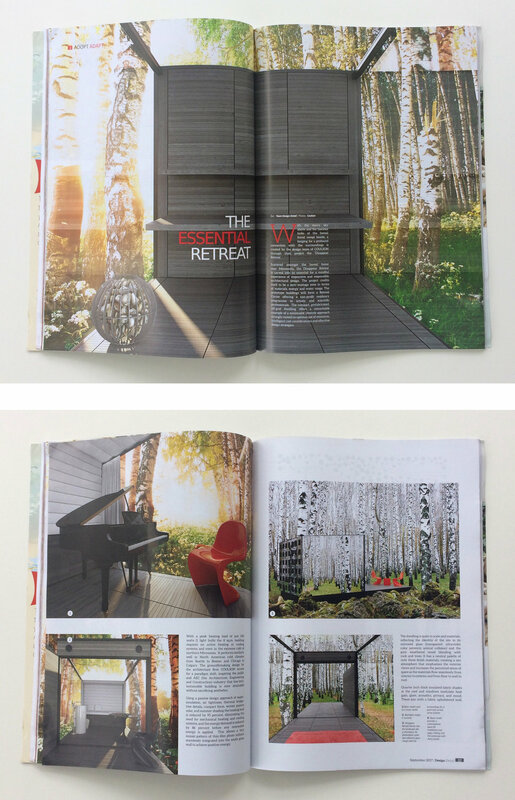 We are so excited about this beautiful publication of Disappear Retreat in DESIGN DETAIL Magazine September 2017 issue. Disappear Retreat insinuates into the landscape with a jewel-like form and mirrored glass that takes on the identity of the site in its reflections (transparent ultraviolet color prevents animal collision). A mosaic pattern of thin-film PV integrated into the south glass wall generates all the energy needs from the sun and camouflages the building into the surroundings like a spotted forest animal. The universe, stars, and northern lights press close through a frameless glass roof. The innovative design by COULSON strives for a paradigm shift where low-tech, low-cost, sustainable building is attainable now without sacrificing aesthetics, comfort, or transparency. The building meets PASSIVE HOUSE and LIVING BUILDING CHALLENGE, the most rigorous targets in the world. COULSON is dedicated to the highest level of sustainability. This passion for the environment is not only technical, but extends to the experience of nature, which is an essential element in our design work and life. We want to merge architecture with the natural world to live seamlessly and lightly with its mysterious beauty. Disappear Retreat embodies this ethos and we are honored to be featured in this DESIGN DETAIL issue focusing on innovative international buildings that redefine the live/work/play balance. 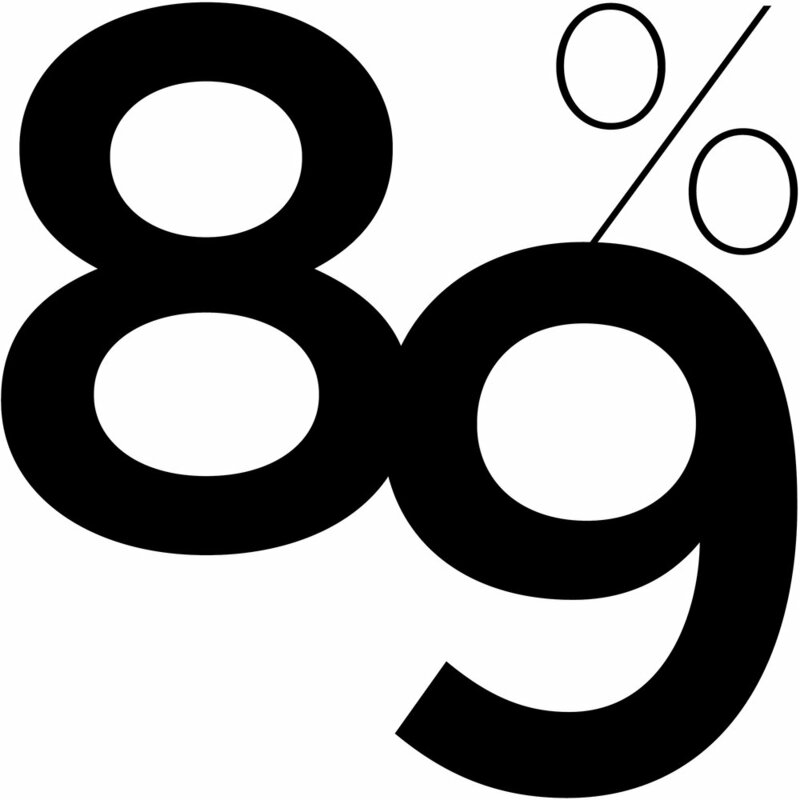 89% – that’s our overall portfolio-average energy savings (pEUI) for all the projects at COULSON since we started. We are so pleased to be honored as 1 of only 6 AIA Signatory Firms in the U.S. exceeding the 2030 Challenge for our portfolio. We do rigorous energy modeling– seamlessly integrated into our design process for every building. As a Signatory Firm we report the results of our portfolio every year. Our portfolio-average for 2016 was 100% pEUI. This high performance is invisible, without impact on the poetry of place and the design excellence we strive for. It is accomplished with simple low-tech components and passive strategies with innovation in advanced building analysis and integrated design. The AIA 2030 Commitment is a national framework for tracking progress and helping architects meet the 2030 Challenge calling for all new buildings to be carbon-neutral by 2030 and by 2015 achieve a 70% reduction in energy use. Carly Coulson, AIA, LEED AP, was interviewed by the amazing designer Angelina Rennell. It is a privilage to be included among the inspiring artists, curators, and designers she profiles at BEKLINA where she connects unique perspectives for those of similar passions for beautiful and thoughtful design. COULSON is honored to be included in AIA Minnesota "The Guide To GOOD DESIGN 2017" featuring our project Disappear Retreat in MIDWEST HOME Magazine June/July 2017 issue. Disappear Retreat dissolves the living footprint to zero energy, zero waste, zero water with all essentials integrated into this prefab, off-grid dwelling providing a minimalist lifestyle in resources, cost, and aesthetics. The design is light, transparent, and seamlessly connected to the surroundings, insinuated into the landscape. The innovative project meets 2030, PASSIVE HOUSE, and LIVING BUILDING CHALLENGE and requires no mechanical heating or cooling for cold climates from Chicago to Calgary. 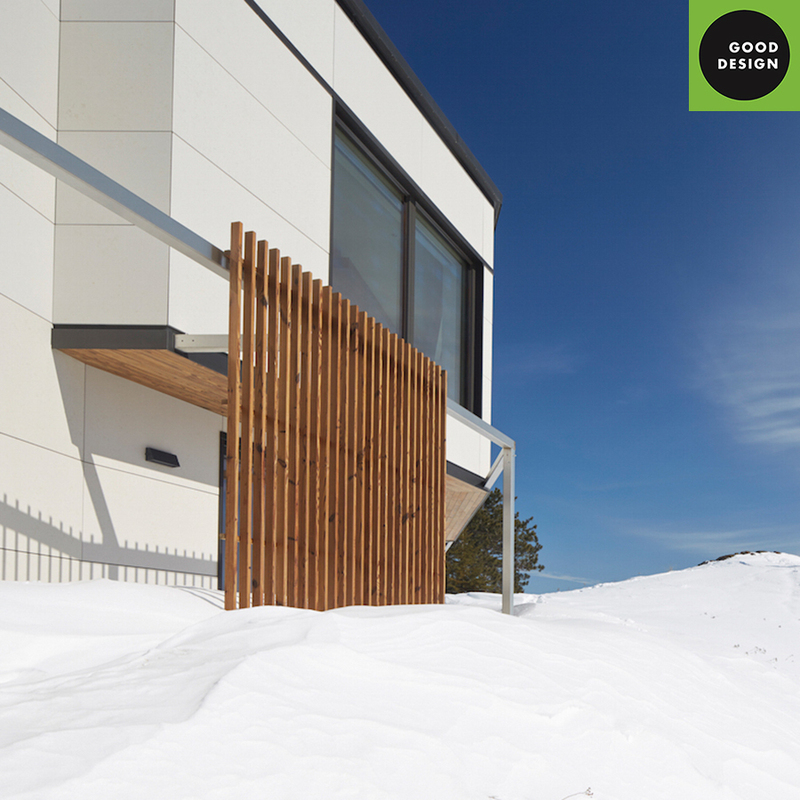 COULSON is honored to receive two 2016 Green GOOD DESIGN™ awards from The European Centre for Architecture Art Design and The Chicago Athenaeum for – MH House and Pays d'en Haut. Along with The City of Paris and international corporations like BMW and TOTO – 120 projects from over 22 nations were selected by an international jury as the world's most important examples of sustainablity in products, programs, people, environmental planning, and architecture for 2016. The GOOD DESIGN™ program was founded in Chicago in 1950 by Charles and Ray Eames, Eero Saarinen, and Edgar Kaufmann Jr. to recognize design excellence and introduce modern design to the public with passion, innovation, and revolutionary zeal. Now in 2016 Green GOOD DESIGN™ attempts to blaze a new direction in design history, impacting consumer habits, restructuring manufacturing, influencing the design of cities, and raising a consciousness about our limited global resouces. The program honors those that have forwarded exceptional thinking and inspired greater progress towards a healthier and more sustainable universe with new approaches led by visionary architects, designers, planners, corporations, governments, and institutions. MH House is a suite of near-zero energy, modern glass pavilions for living and working with a primary energy reduction of 90% and a peak heating load of just 2000 watts in the extreme climate of Duluth, MN. It is designed for LEED Platinum and Passive House certifications. The Pays d'en Haut renovation creates a fluid and open connection with the natural world on the shore of Lake Superior while working within the constraints of an existing building to achieve an 82% reduction in primary energy demand without any renewable energy and a 4300 peak heating load, meeting the Passive House Institute's EnerPHit requirements. MH House and Pays d'en Haut are featured in the Green GOOD DESIGN™ exhibit "Design A Better World Now" organized by The European Centre for Architecture Art Design at Contemporary Space Athens in Greece. MH House, designed by COULSON, is the winner of a 2015 RADA Award. The project has been recognized with an Honorable Mention in the On The Boards category. The RADA Residential Architect Design Awards honor outstanding work in advancing residential design. 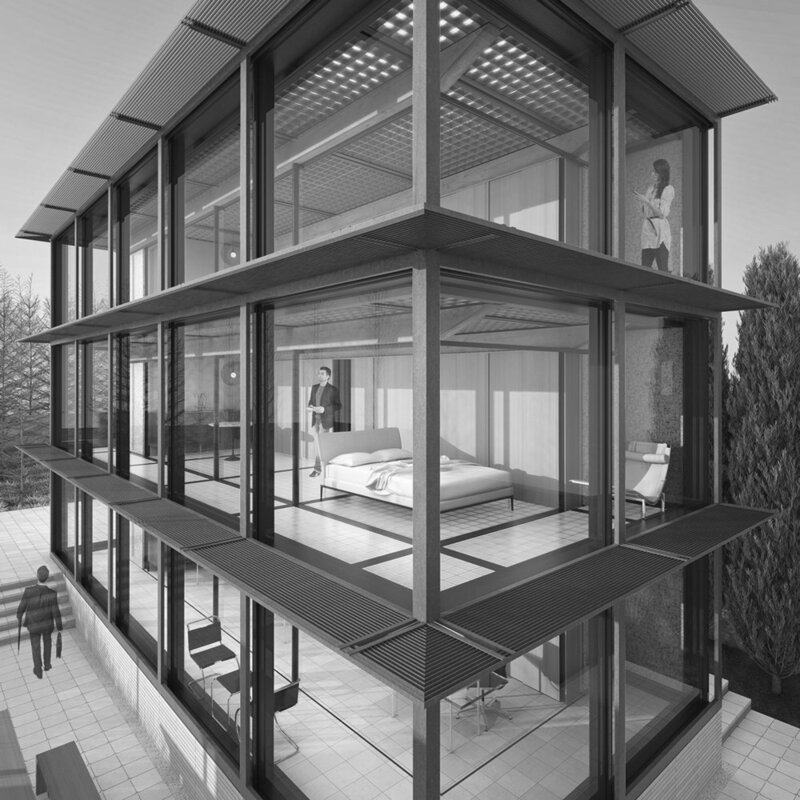 MH House is an innovative, near-zero energy, suite of glass pavilions in Duluth, Minnesota. The design re-imagines a new, highly-flexible, office and residential building type and is designed for LEED Platinum and Passive House certifications. "The entire project is systematized, and it's designed to meet Passive House standards without looking like a Passive House." Carly Coulson, AIA LEED AP, will be a keynote speaker at the Perspective 2015 Architectural Forum at MiCo-Milan in Italy sponsored by THE PLAN Magazine and EXPO MILAN 2015. Carly was selected as an emerging international architect to present her design work and philosophy at the forum. She will also give detailed presentations of MH House and Pays d'en Haut to an international jury who will select the overall winners of THE PLAN AWARD 2015. Pays d'en Haut has been selected as a finalist for THE PLAN AWARD 2015. The project was honored by the editorial committee of THE PLAN Magazine in the Renovation category. Pays d'en Haut is a transformative renovation, creating a fluid and open living connection with an extreme climate and beautiful landscape, working within the constraints of an existing structure, and achieving energy freedom. THE PLAN - Architecture & Technologies in DETAIL is an acclaimed international architecture publication in Italy. MH House has been honored as a finalist for THE PLAN AWARD 2015. It was selected by the editorial committee of THE PLAN Magazine in the Future Projects - House category. We are so thrilled and deeply honored that the Bagley Classroom was recognized with a national AIA COTE TOP TEN GREEN BUILDING AWARD. Each year, ten innovative projects are selected for their exemplary integration of design excellence and environmental performance. COULSON led this groundbreaking effort in poetic design and intelligent sustainability, achieving the University of Minnesota’s first LEED Platinum Certified and Passive House building.